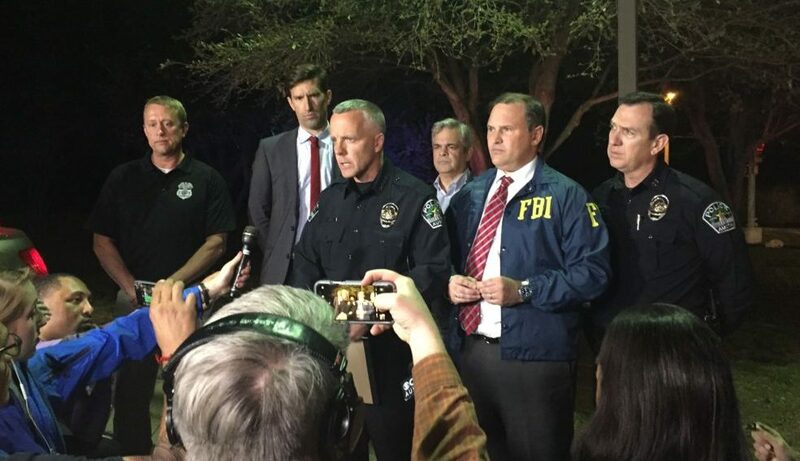 A serial bomber had the City of Austin in a near panic for 18 days in March. The entire community was mobilized in preventing the spread of fear and continued incidents. At the same time, the city was experiencing its largest event of the year – SXSW. In this session hosted by IABC Austin, you will hear from the team responsible for managing the Austin Police Department’s response to these atrocities and keeping the calm at critical moments. You’ll hear the timeline of events, challenges, lessons learned and the importance of relationship building. The event takes place 11:30 a.m. to 1 p.m. Tuesday, Nov. 13, at the Whole Foods Domain in Austin. If you wish to join us for lunch, please RSVP by 5 p.m. Friday, Nov. 9. Presentation-only tickets will be available until the start of the event on Nov. 13. Anna Sabana has been with the City of Austin for approximately 23 years and currently oversees the Austin Police Department’s Public Information Office, which includes sworn personnel supervised by a Sergeant, civilians and an on-call Public Information Office team. Anna began her career with Austin-Travis County EMS as the Public Education Coordinator, where she developed a community outreach program to educate the community about the importance of Emergency Medical Services, seasonal safety tips and how to call 9-1-1. In addition, she made presentations, served as the public information contact for all community education events for EMS and acted as media spokesperson on a number of public education programs. Next, Anna served as a Public Information Specialist for the City of Austin’s Communications and Public Information team at City Hall. She was the liaison for media and the general public, developed long-range strategic communications and marketing plans and served as a team leader for executive-level city management projects/activities. As APD’s Public Information & Marketing Manager for the last 11 years, she continues to focus on community relationships throughout the City. Anna focuses on maintaining a healthy relationship with media partners, the community and the Austin Police Department by having a transparent, open and friendly relationship. Born and raised in Austin, Texas, Anna earned her Bachelor of Arts degree in Speech Communications from Texas State University. Lisa Cortinas has been with the City of Austin for nearly 12 years and has been in the communications field the entire time. She began her career with the City of Austin’s Aviation Department in 2006 as a public information specialist. In this role, she served as a spokesperson for the Austin-Bergstrom International Airport, wrote feature stories on art exhibits and employees and planned new airline service launches. In 2008, she made the move to the Austin Police Department’s Public Information Office. In her role as a Public Information Specialist, Sr., Lisa manages the department’s internal and external websites, handles public information requests, provides public information to citizens and media, trains APD officers on how to provide on-camera interviews, writes news releases, plans and sets up news conferences and more. Born and raised in San Antonio, Texas, Lisa earned her Bachelor of Arts in Literature from Texas A&M University.